The EZS8L drinking fountain is one of the best wall mounted water bubblers for your building and is an easy buy considering the advantages. This water cooler is A.D.A. Compliant when mounted according to the guidelines of your state. 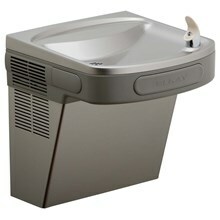 These electric drinking fountains chill up to 8 gallons of water per hour which is an industry standard. 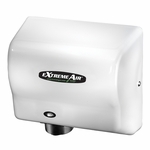 This particular single drinking fountain is manufactured by Elkay and is marked at an ultra low price to ensure you get the best quality item for your facility. The EZS8L outlasts the competition with its sturdy construction and well built mechanics. So if your next commercial facility project or school needs a refrigerated water cooler, this is the perfect choice.